I love breakfast food. I mean who doesn’t? Breakfast for breakfast, brunch, lunch, or dinner – heck, I even love late-night breakfast! It is never the wrong time for breakfast food. What kind of breakfast food you ask? Personally, I love eggs. I am a savory breakfast kind of gal all the way. 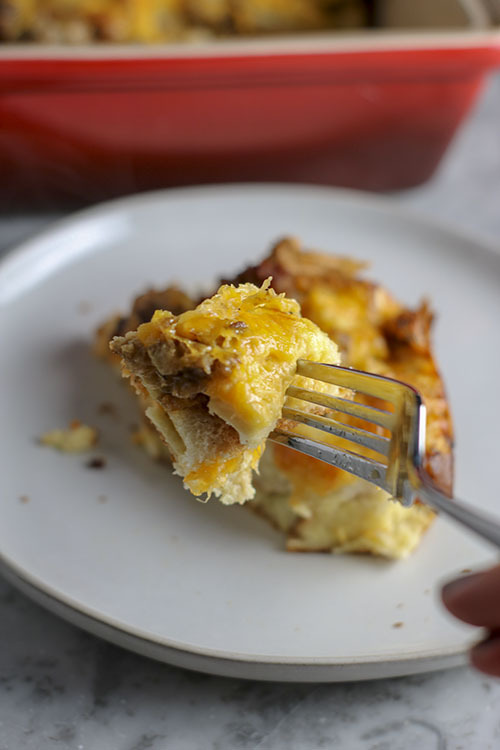 That’s why I am obsessed breakfast casseroles. 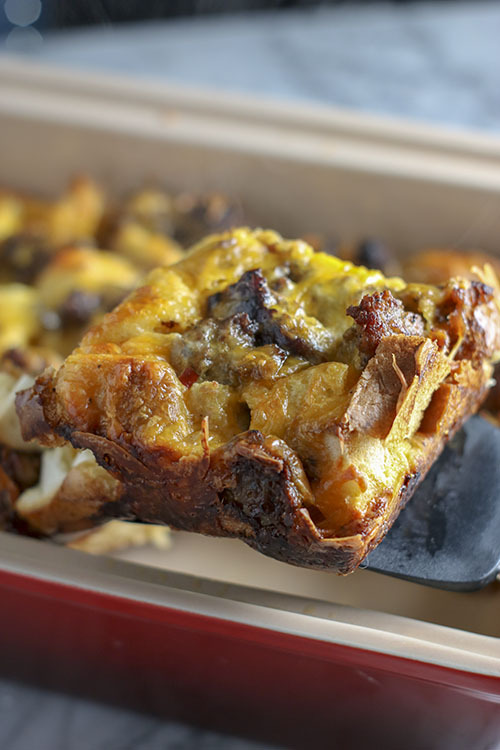 Specifically, this Sausage, Egg and Cheese Breakfast Casserole. They are SO easy, SO delicious, and did I mention – SO easy! Throw all the ingredients together the night before, let it soak, bake in the morning – voile! Breakfast is served. To my delight, it turned out great! At least I thought it did. And no one else said otherwise! Sure, they could have been lying – but this recipe is SO EASY and full of so many delicious ingredients. I seriously don’t think its possible to mess up! 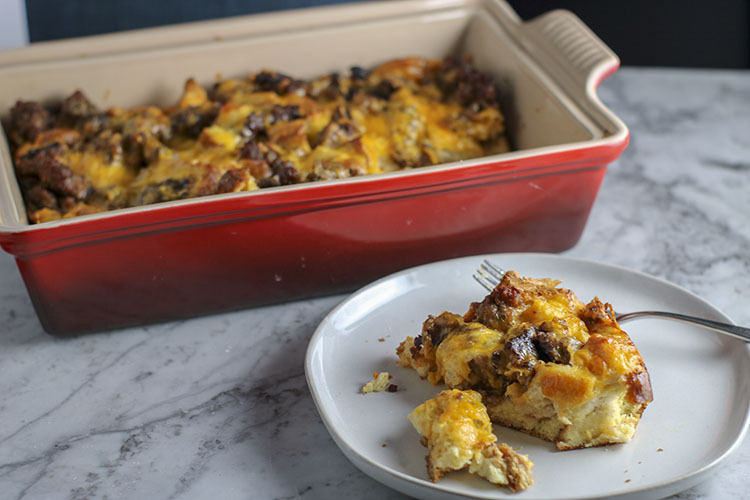 This breakfast casserole is like a savory bread pudding – dense white bread is soaked overnight in rich egg and milk (or cream). 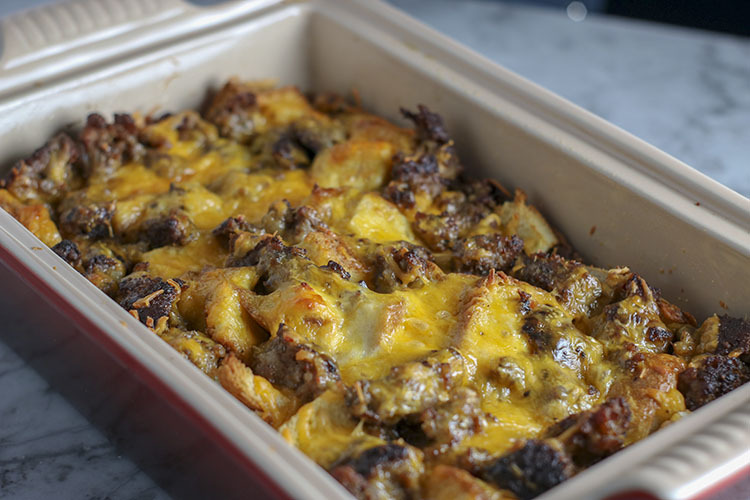 Sprinkled with salty, crumbled sausage (pork, turkey, chicken or veggie), and LOADS of cheddar cheese. Baked to perfection. 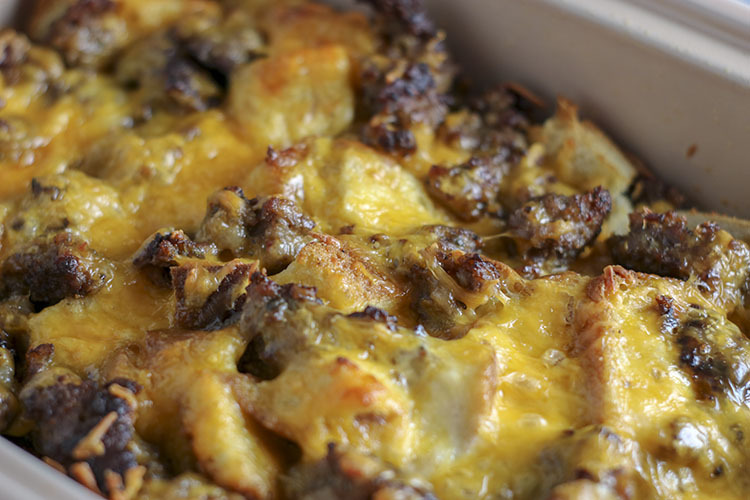 The end result – moist, gooey, cheesy and deliciousness – oh em GEE GUYS! I am drooling. Obviously, this is NOT a healthy recipe! But it IS a special occasion, treat your family, treat yourself, treat your taste buds, its a holiday so there are no calories kind of recipe! Cream is more decadent than milk and will make the casserole taste richer – personally, I use milk whenever I make this casserole and I think it turns out fine! 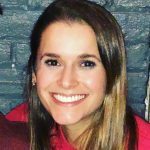 Whole-milk cheese is arguably richer than part-skim cheese – again, I personally do not mind the taste or texture of part-skim cheese so I often use it in my recipes to lighten things up. Whole eggs – this is a big one, there is a fine art to egg substitution. Instead of using 5 whole eggs, you perhaps could use 3 whole eggs and 3 egg whites. However, I have not tried this myself – and the fat in egg yolks DO absolutely contribute to texture and flavor in your final product. Sausage type is totally a matter of preference! 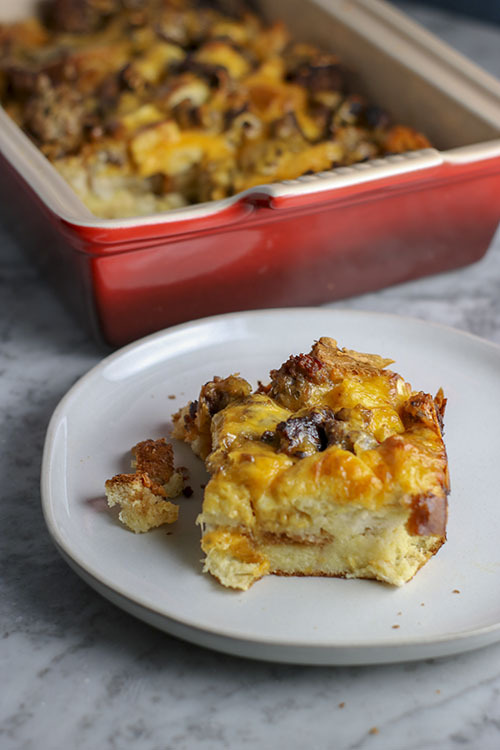 If you love turkey sausage – you will love it in your breakfast casserole! 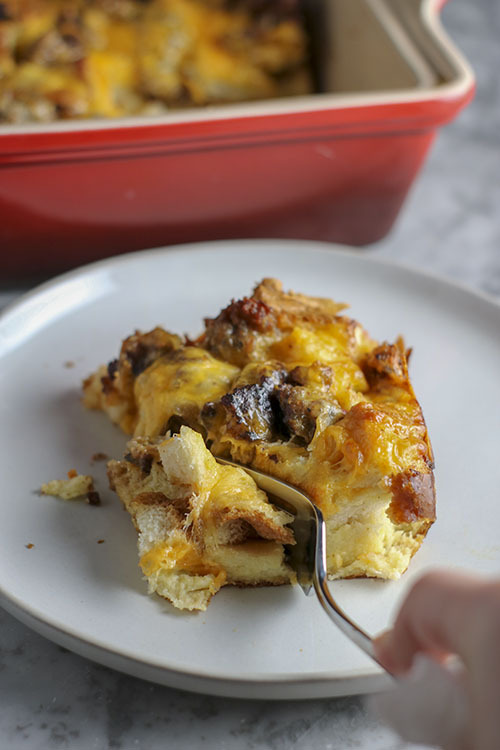 If you absolutely despise chicken sausage with the fiery passion of a thousand suns – I suggest you do not substitute chicken sausage in your breakfast casserole. Got it? Good. 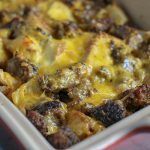 This Sausage, Egg, and Cheese Breakfast Casserole is a special occasion / treat yourself kind of breakfast casserole recipe! Easy to make - easier to eat! Soft white bread soaked overnight in rich egg, then sprinkled with salty, crumbled sausage and LOADS of cheddar cheese. Baked to perfection. In a large skillet, brown sausage over medium heat until fully cooked through. Use a slotted spoon to transfer sausage to a separate bowl. Set aside. Cut bread into cubes then place into lightly greased 9 x 13 inch baking pan (if removing crust, add two extra slices of bread to accommodate). Set aside. In a large bowl, combine eggs, milk, mustard powder, salt and pepper. Whisk to fully combine. Sprinkle sausage and half of cheese over bread. Pour egg mixture over bread/sausage/cheese in pan. Sprinkle with remaining cheese. Cover with plastic wrap, then refrigerate for at least 6 hours or overnight. Post-refrigeration/pre-baking, remove plastic wrap and cover with tin foil. Bake at 350F for 30 minutes. Remove tin foil and bake for an additional 10-15 minutes, or until cheese has fully melted and begins to brown. Remove from oven and allow to cool for 5-10 minutes before slicing and serving. Storage: Refrigerate in an airtight container for 4-5 days.